Pure kraft paper is suitable for a whole range of applications. Great presentation and high resistance to tear with strong performance is offered by this premium paper made from pure virgin wood pulp. Ideal for covering items and protecting items from scratches. Fully recyclable and environmentally friendly. Clear 250 gauge (62.5 micron) - 336m long or 500 gauge (125micron) 167m long polythene layflat tubing. 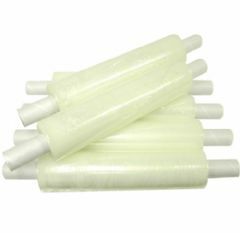 Creates a long poly tube Ideal for protecting narrow or long items. Ends can be be sealed with heat sealers, staples or tape to safely protect your items. Provides a professional finish for your goods. 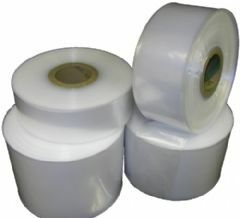 Removes the need for holding a large stock of different sized poly bags. Stretch film (or pallet wrap) is the perfect solution for securing items on a pallet for transit or storage. The film can be applied either by hand or with the aid of a dispenser. 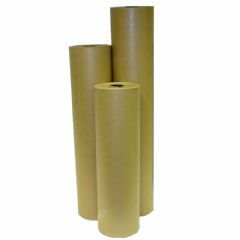 All our rolls are extended core so can be used by hand or the cardboard core trimmed for use with a dispenser if necessary. The stretch films we supply are of the highest quality - we use the same stretch films ourselves - they are all cast finished which means that the film sticks to itself rather than everything else - we find this is more efficient to use and you dont spend the first 10 minutes trying to find the start of the roll as is often the case with blown films! 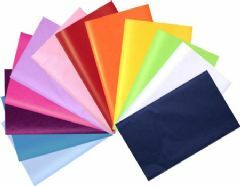 We stock a range of strengths of film to suit a variety of applications together with a useful handywrap, a security film and dispensers.